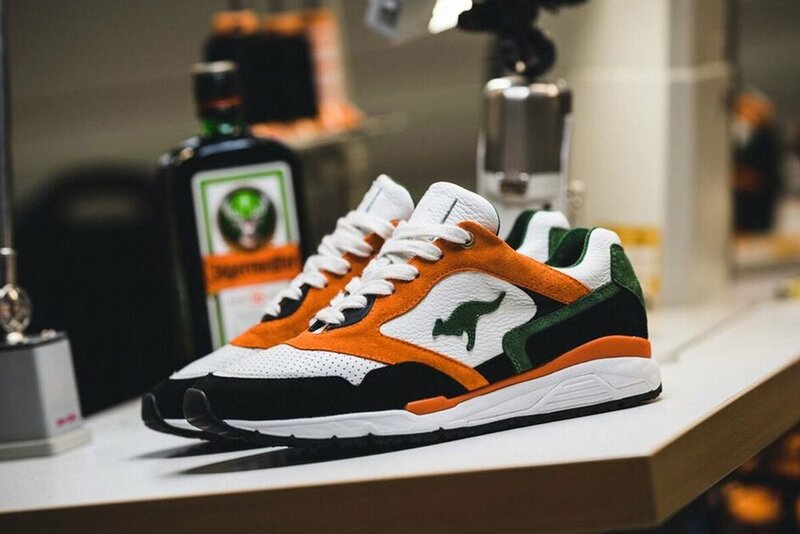 The colorways of the first KangaROOS X Jägermeister collab is based on the Jägermeister colors forest green, orange and white. On the heel, the bottle cap and the Jägermeister stag are emblazoned with gold. On the flap there is "56" - for the number of exquisite herbs that are contained in the liqueur. The limited collab model is based on the popular KangaROOS "Ultimate". Deerskin was mainly used for the occasion, because that fits wonderfully with this absolute "Made in Germany" premium copy from the shoe manufacturer Hummel & Hummel. Releasing at selected retailers in Germany such as Afew.